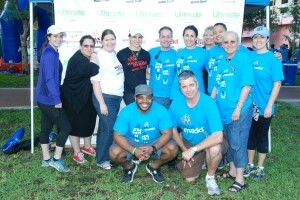 Thousands of walkers and runners will make strides in the ongoing fight against drunk driving during the annual MADD (Mothers Against Drunk Driving) Ultimate Software presents Walk Like MADD & MADD Dash Fort Lauderdale 5k, on Sunday, April 28. WALK Like MADD & MADD Dash is MADD’s annual signature event, which takes place in over 80 cities in the U.S., including Fort Lauderdale in support of MADD's mission to end drunk driving. The walk/run will start at Huizenga Park, 32 E. Las Olas Blvd., Fort Lauderdale, FL, 33301, at 7:30 a.m. and take place along Fort Lauderdale’s Riverwalk. Since it was established in 2011, Walk Like MADD & MADD Dash Fort Lauderdale 5K has raised more than $1,500,000 for MADD Broward & Palm Beach. 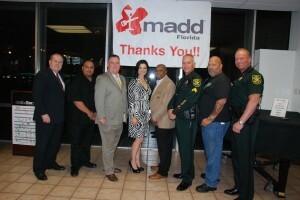 All event proceeds benefit MADD Broward & Palm Beach’s community education, victim support services and youth programs. 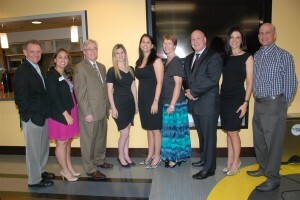 Corporate, family and law enforcement team sign up is also available. Participants can sign up as an adult or youth virtual walker. Event sponsorships are available. Awards will be given for top fundraiser, top team (private and corporate), as well as overall and age group awards for 5K finishers.